Jaguar XK 120 OTS, year 1950. 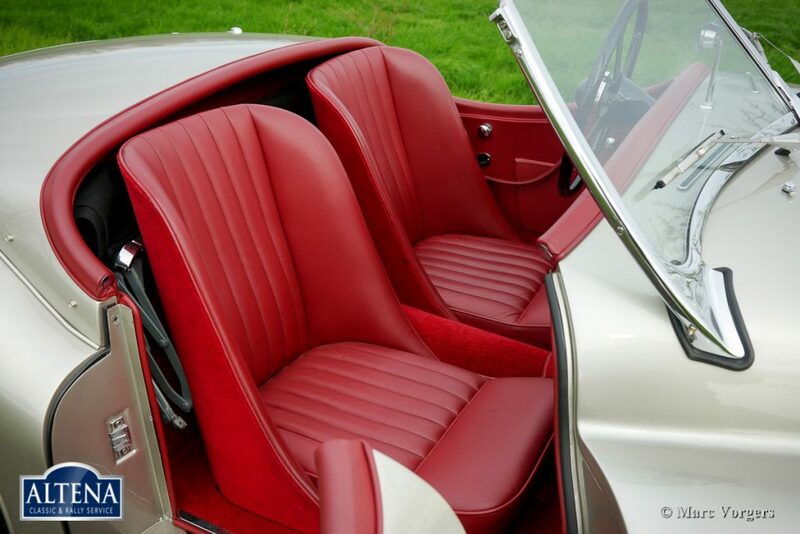 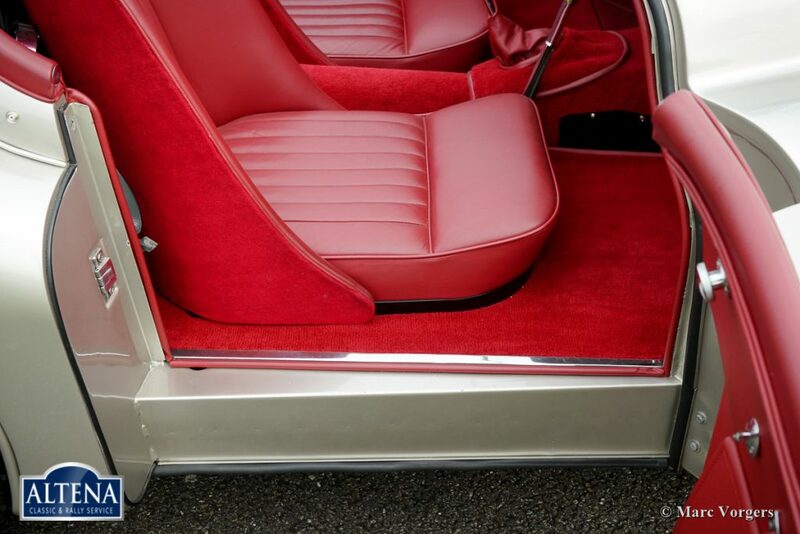 Colour silver metallic with a red leather interior and red carpet. 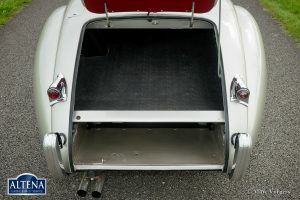 Black soft-top and tonneau cover. 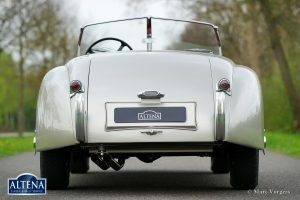 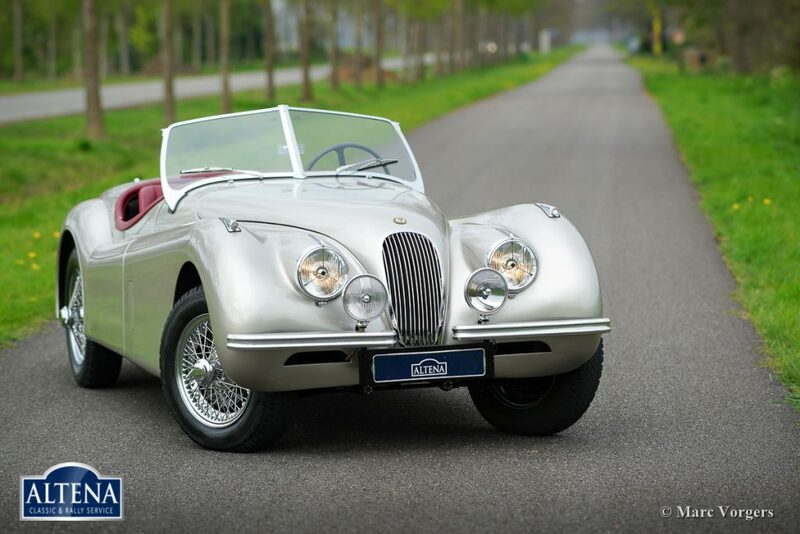 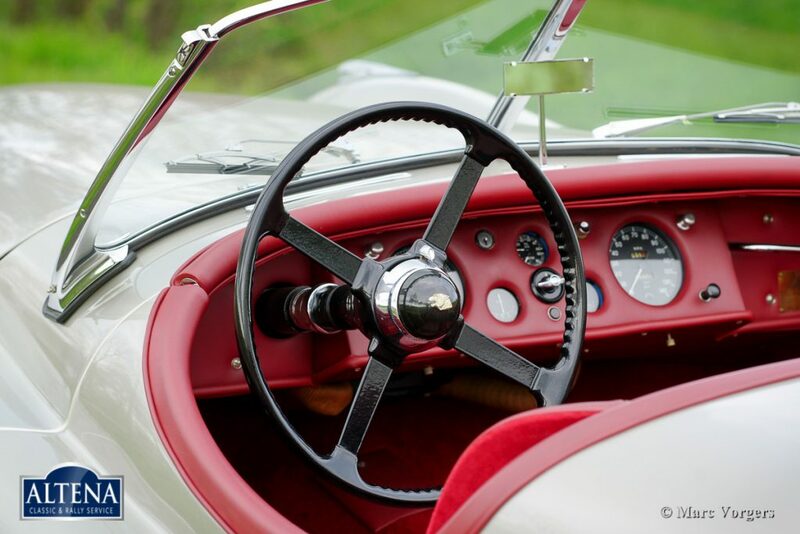 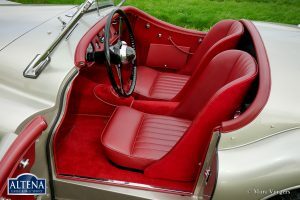 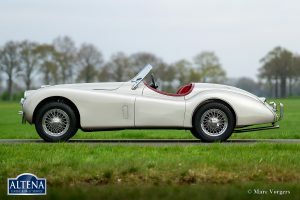 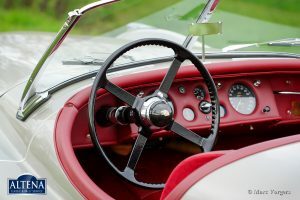 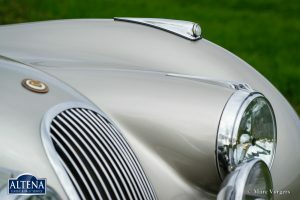 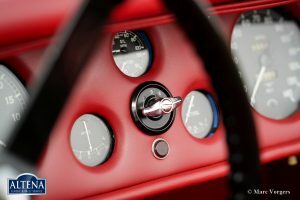 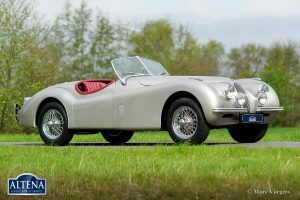 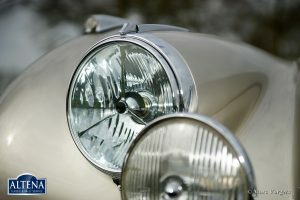 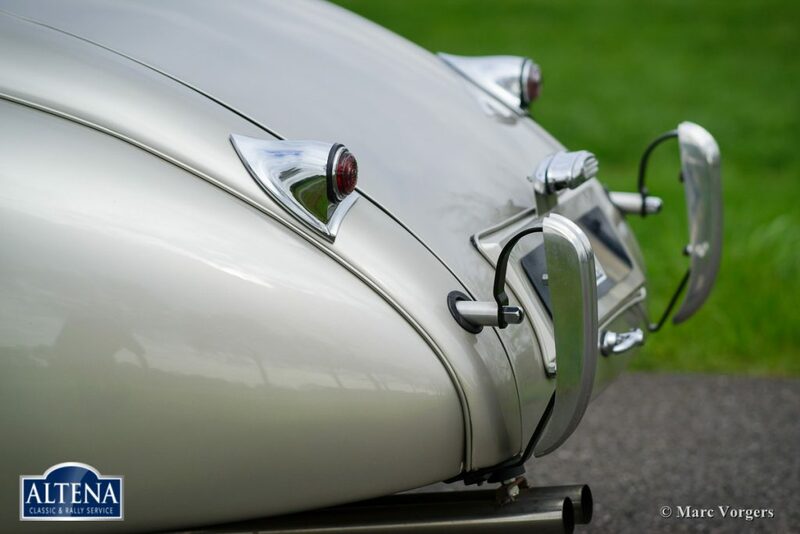 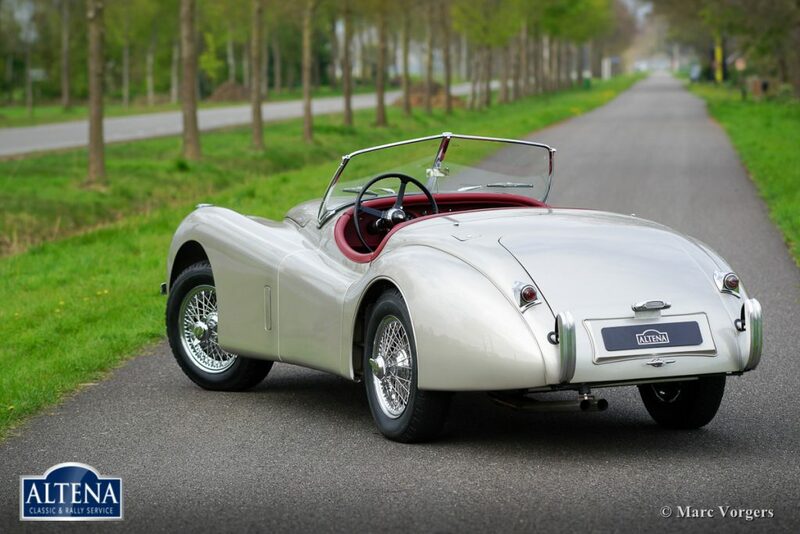 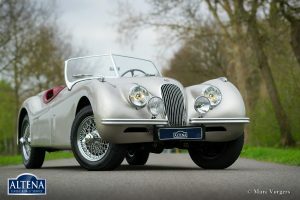 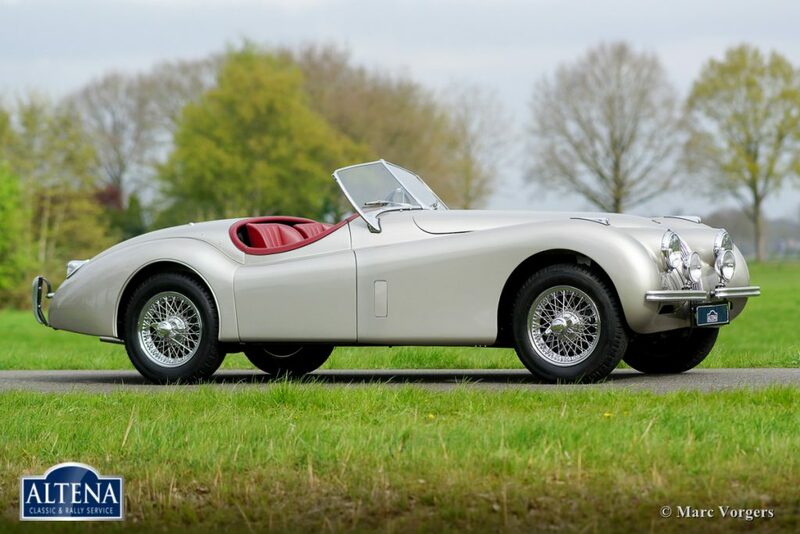 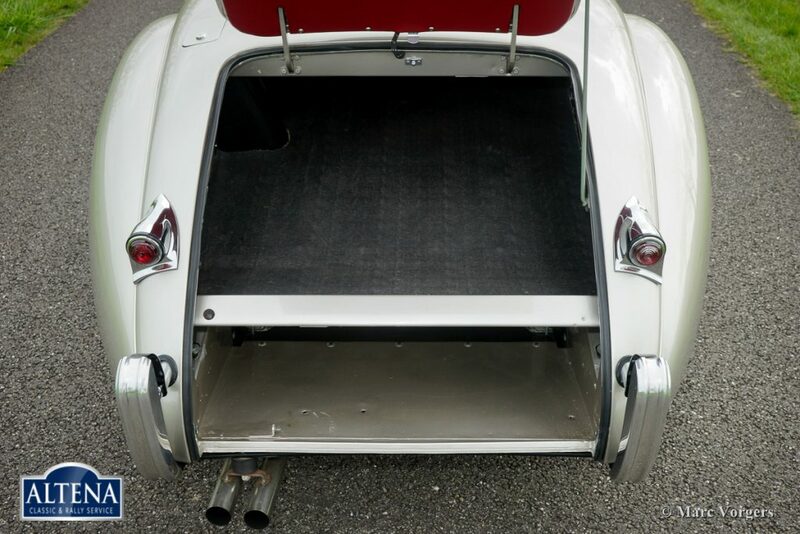 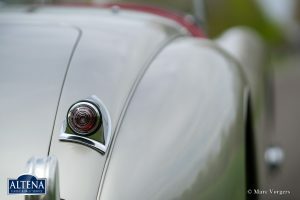 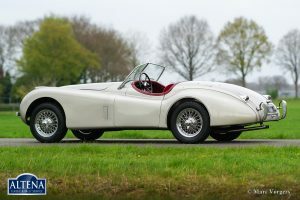 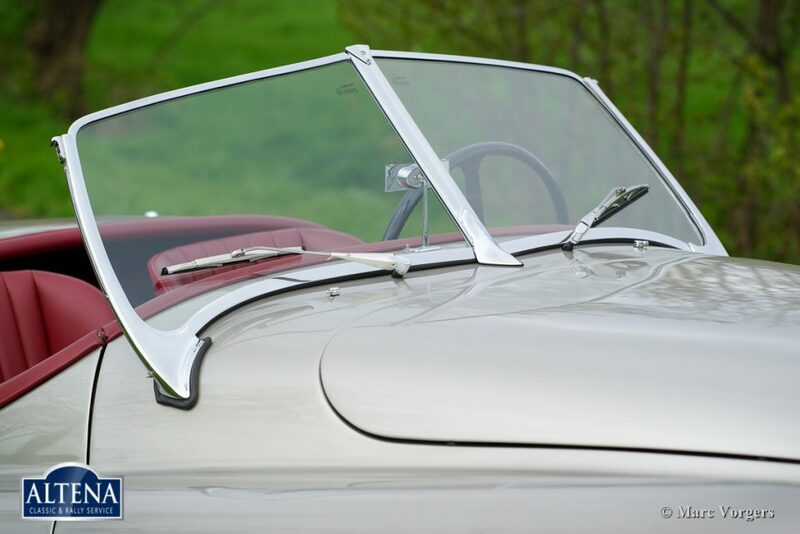 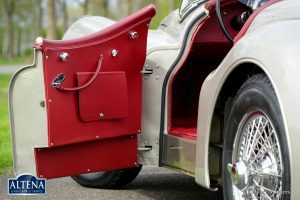 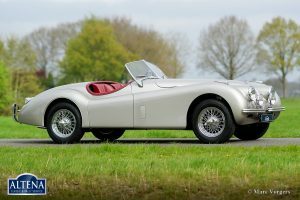 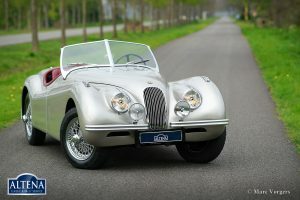 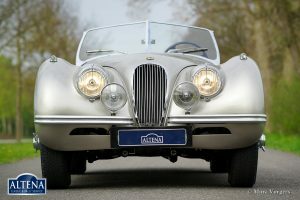 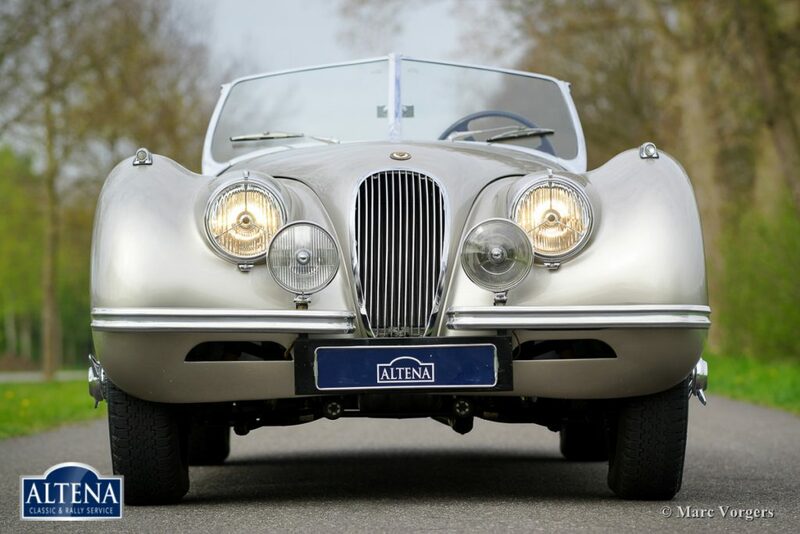 This fabulous Jaguar XK 120 Open Two Seater (OTS, also named ‘roadster’) was sold new in the USA. 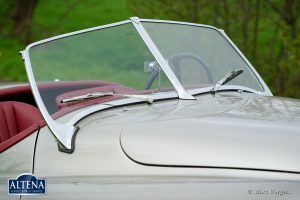 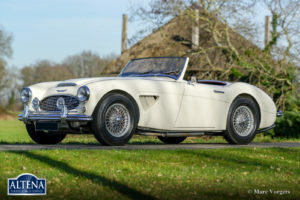 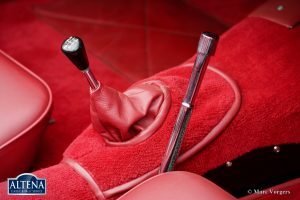 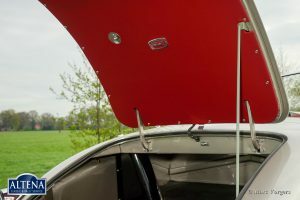 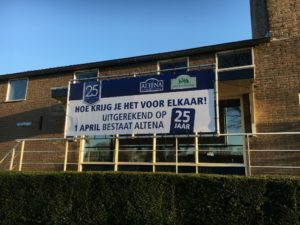 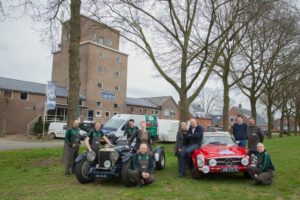 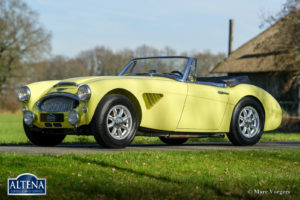 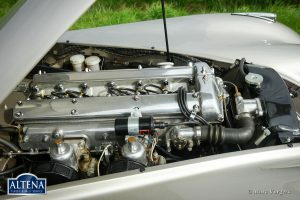 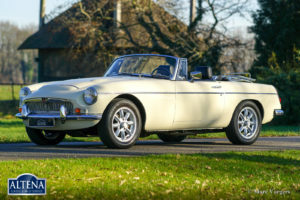 The automobile was imported to the Netherlands in the year 1990. 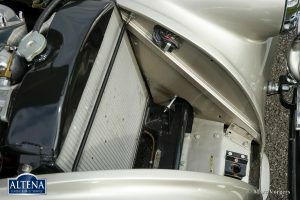 Years later an extensive ‘body-off’ restoration started, the work was completed in the year 2012. 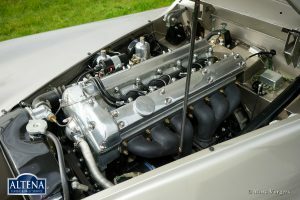 An extensive photo reportage of the restoration is present as are the invoices. 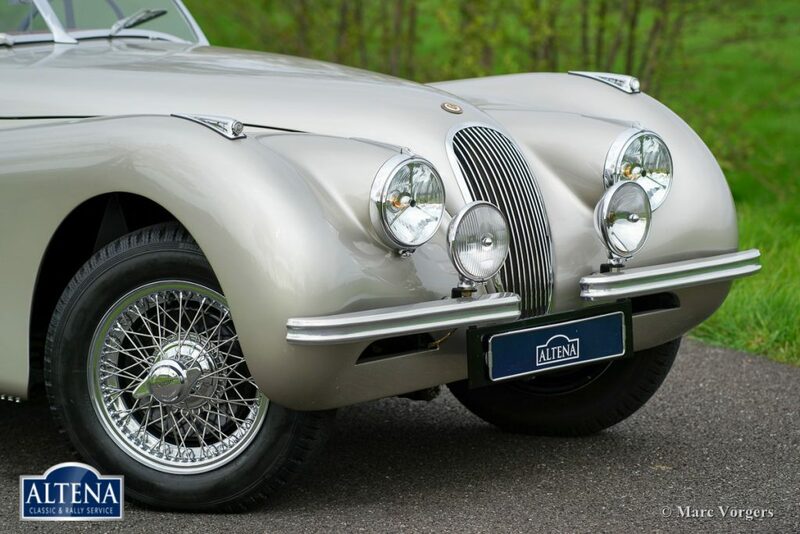 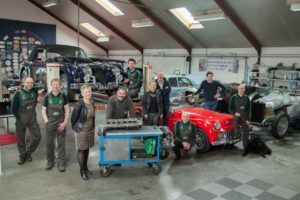 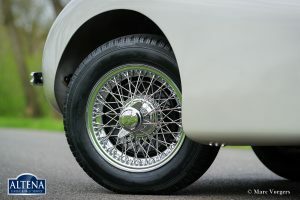 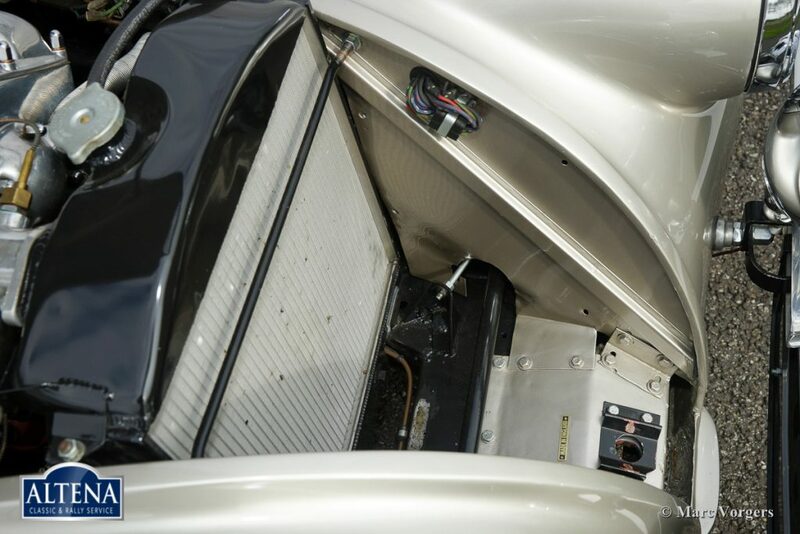 Since completion of the restoration this fine Jaguar XK 120 has driven only 900 miles. 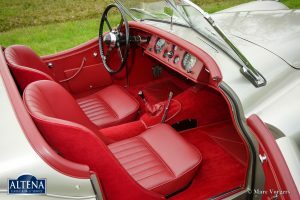 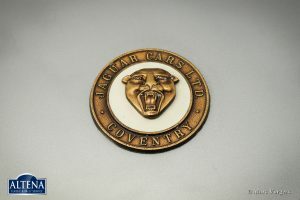 The car features Jaguar bucket seats which give perfect support and which give more interior leg-space for taller drivers. 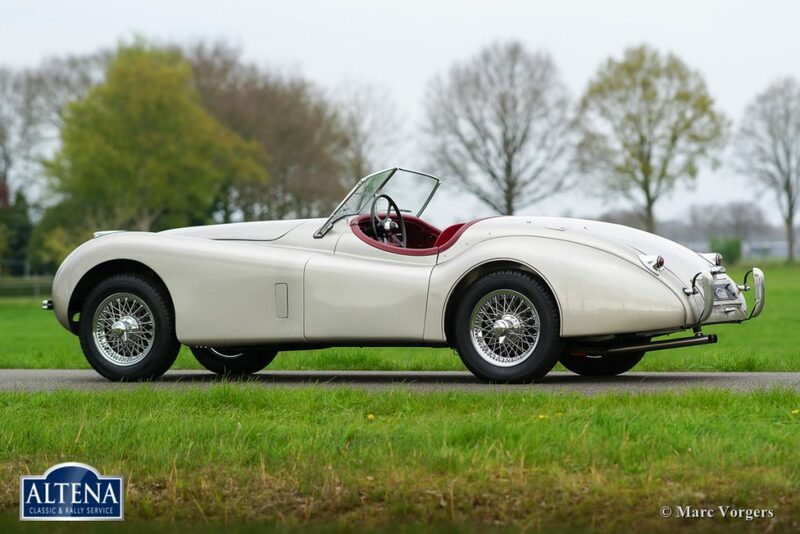 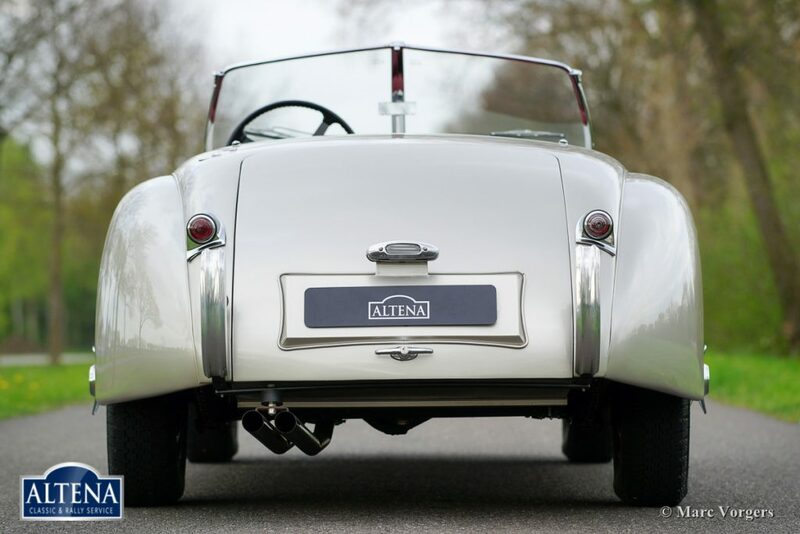 This Jaguar XK 120 OTS is in superb condition!